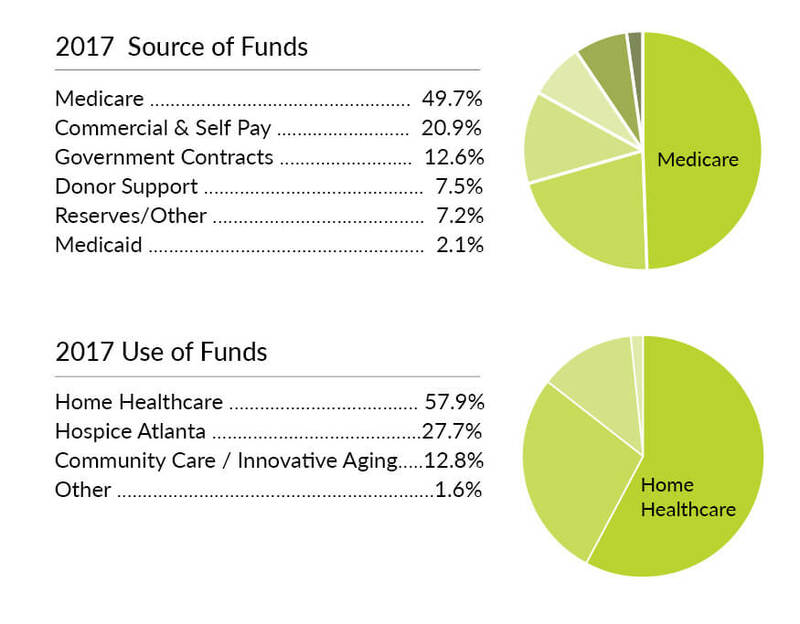 Our organization spends more than $4 million dollars each year on patient care for the underinsured. These are patients who are often turned away from other providers because they are expensive to treat and yield little financial incentive to care for. For this vulnerable population, Visiting Nurse Health System is the community safety net. Your charitable contributions enable us to serve all patients regardless of insurance coverage or ability to pay. Thank you for helping support our work. As a nonprofit, 501(c)(3) organization, all donations are tax deductible to the extent provided by law. You can make your donation in memory or honor of a loved one. Remember, You Can Double or Triple Your Impact! Many corporations sponsor matching gift programs and will match charitable contributions made by their employees. To find out if your company has a matching gift policy contact your human resources department. The impact of your gift may be doubled or possibly tripled! Companies also often match gifts made by retirees and/or spouses. Giving a gift of stock to Visiting Nurse Health System is easy – call the Office of Advancement at (404) 215-6010 and we’ll walk you through the process. For Wire Transfers, and other giving opportunities, please email the Office of Advancement or call 404-215-6010. Jane spent her final days at Hospice Atlanta Center. We want to thank and honor the dedicated nurses, doctors, and staff for the tender and compassionate care they provided to Granny. Donations in addition to, or in place of, flowers may be made to Hospice Atlanta. Donations may be made through vnhs.org/DonateNow. Please designate Hospice Atlanta on the donation form. Checks may be sent to Office of Advancement, Visiting Nurse Health System | Hospice Atlanta, 5775 Glenridge Drive, Suite E200, Atlanta, GA 30328. In 2017, the cost of services we provided to uninsured and underinsured patients exceeded our reimbursements by $4 million. To make up any shortfall, we rely on the generosity of community donors like you for supporting our mission.